If you didn't have a Filipino BFF growing up, you missed out! If you had a Filipino BFF, then you would have been introduced to Filipino adobo. Today, I'm here to confirming that it's possible to eat adobo while still adhering to Whole30 and Paleo guidelines. Hands down, my dad makes the best adobo. I'm partial of course! Because he only makes it during celebrations, it has become a comfort for me when it is available. There are many variations to this dish, some add sugar, some add beans, but the key ingredients are vinegar and soy sauce. My dad's dish is straightforward and very easy to make, but the soy sauce is a big no-no to both the whole30 and paleo diets. You can ready more about why here. Basically, both whole30 and paleo requires that you adhere to some strict guidelines about food and this includes not eating sugars, legumes, soy, msg and wheat. Whenever I am on a whole30 or paleo reset, I usually try to stay away from my parents house to reduce temptation. If you are Filipino or if your best friend is Filipino you know that food is a staple in Filipino households. Adobo is a staple in Filipio households because it lasts long due to the vinegar. With tropical weather all year in the Philippines, it was important to have food that lasted a while. It's also one of those recipes that has both the Chinese and Spanish influence. It is important that you buy good quality ingredients for this recipe as you may be eating it for awhile. It usually tastes better over time anyways. So, without further ado, here are two recipes for adobo: the first is the original recipe my dad uses, the second is a paleo version using two very easy substitutions. This posts contains affiliate links. See Disclosures for details. Taste test and see if the flavor is just right. Adjust as needed. Turn the heat to low and let the meat finish cooking. The sauce should have cooked off and you'll have mostly oil left from the pork. This is why it's important for your meat to be good quality. Papang's Filipino Adobo. A classic Filipino dish made of pork belly, vinegar, soy sauce and lots of love. Instructions for cooking are very similar to the original. Note also that the ingredients are similar, but we need to make substitutions for key staples: soy sauce and vinegar. 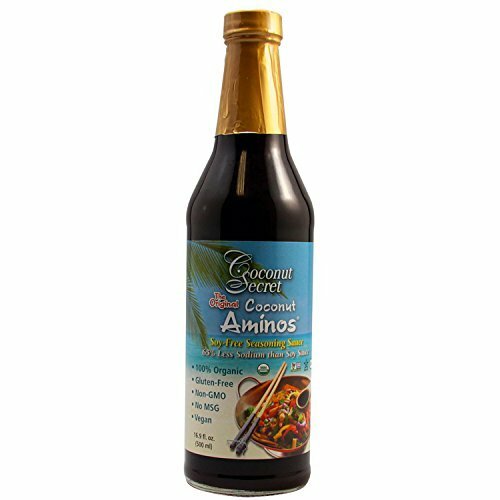 Coconut aminos are a great soy sauce substitute. Lighter in flavor and sweeter. Make sure you taste test. Because this is not using soy sauce and the coconut aminos have a sweeter taste, you'll note that we added salt. You'll also need to cook it a little bit longer as the meat doesn't break down as fast with the soy sauce. Whole30 and Paleo compliant version of Filipino adobo. So good, you might not be able to tell the difference. My dad and I cooked the above dishes together. I followed his lead as he cooked his original adobo recipe. Here are some of the behind the scenes. To keep this as low waste as possible, we were able to get the meat in our own containers. Although, I was a bit nervous because we were going to an Asian market that I had never been to beforehand I wasn't sure what they would say. They were really cool about it. No questions asked or hesitation. My dad did tip the guy behind the counter $1. Hope it didn't feel like a bribe because he seemed ok with me insisting to have the meat in the container. We did have to buy the soy sauce and vinegar in recyclable plastic and the bay leaves were in plastic as well. Everything else was bought without plastic. For the coconut aminos and the apple cider vinegar, those came in glass. My dad chopping up some garlic. These add a great aroma and taste to the meat.